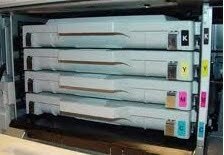 You can buy your genuine TallyGenicom, Printronix and Dascom supplies direct from the exclusive Australian and New Zealand distributor, you are effectively dealing with the manufacturer. Order direct to ensure supplies are compatible with your specific printer, original supplies will also give you the output you’re looking for, and it won’t potentially void any warranties. Buying direct also gives you the best possible value, and ensures the long-term efficiency of your network colour laser printers or impact printers. You can also receive free expert technical advice, and place a service call using the same number. All this from an Australian-based help desk. “I can not thank you enough for your tremendous fast delivery and your customer service. Just as I received your email, I got a call from the warehouse to say that i had a package delivered for me, it was the ribbons. I am very pleased with Tech Precision and look forward to doing future business with yourselves.